This is my first award under the Pathways program of Toastmasters. The award is a Pathways system-generated certificate which may be printed. I simply edited the image (jpg) file and added my photo in the available space. You may click on any of the Pathways Speeches above to see the speech script or click on the date to read the speech's blog entry. In addition to my Evaluation and Feedback Second Speech, I also gave an Evaluation Speech evaluating a member on Feb. 3, 2018. 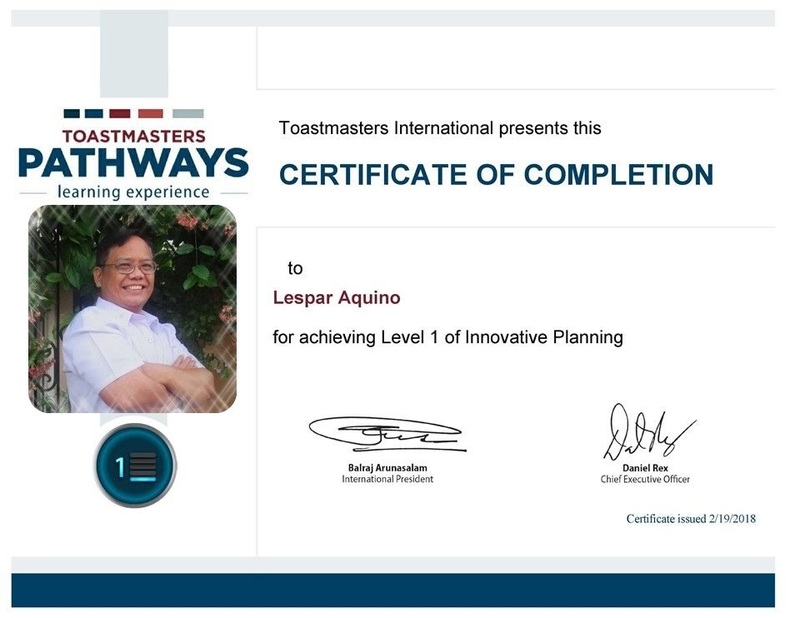 The Evaluation Speech is part of the requirements for Level 1. Here are all my Innovative Planning Prepared Speeches under Pathways.